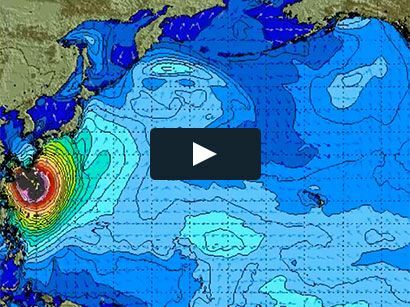 Surf News Network, 13 February, 2015. 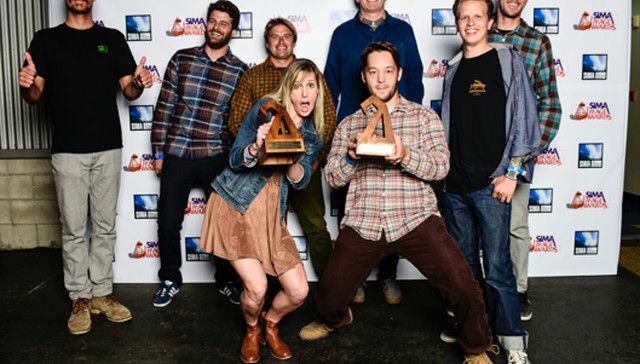 Sixty-five nominees representing the best of the surf industry from 2014 were honored last night at the 12th annual SIMA Image Awards ceremony. Nearly 1,000 attendees from surf companies and specialty retail shops packed the City National Grove of Anaheim to celebrate the outstanding innovations and contributions made by the SIMA Image Awards nominees, and to see the winners announced. The SIMA Image Awards nominees were celebrated with a high-energy ceremony hosted by multi-media action sports personalities, Chris Cote and Nicole Dabeau, who were accompanied on stage by DJ Tina T who provided music for the winners’ victory lap. Award winners accepted their honors from the likes of celebrity guest presenters, including Jon and Tim Foreman of Switchfoot, and professional surfers Bruce Irons, Kalani Robb and Kassia Meador. A very special portion of the evening came when surf legend Shaun Tomson took the stage to honor the 2015 SIMA Surf Shop Gold Wave Award recipients. The inaugural Gold Wave Awards serve to honor specialty surf retail stores that have been in business for 50 or more consecutive years. Last night twenty of the nation’s longest-standing surf shops received a standing ovation as they took the stage to be honored for their longevity, impact on surf culture and dedication to helping build surfing into the vibrant industry and community it is today. The 2015 SIMA Gold Wave Award recipients included: Atlantic Beach Surf Shop; Bert’s Surf Shop; Bunger Surf; Dive N’ Surf; Frog House; Hansen Surfboards; Harbour Surfboards; Haut Surfboards; Heritage Surf Shop; Hobie; Jack’s Surfboards; Katin; McKevlin’s Surf Shop; O’Neill Surf Shop; Ron Jon’s; Surf ‘n Wear’s Beach House; Surf n Sea; Surfers Supplies; Val Surf, and West Coast Surf Shop. “Every single one of these shops honored tonight have changed lives,” said Tomson said from the stage. “If surfing is a religion, surf shops are the temples of stoke.” As the only awards program of its kind, the goal of the SIMA Image Awards is to identify the surf industry’s most influential companies and recognize them for their efforts to advance and grow the industry during the past year.